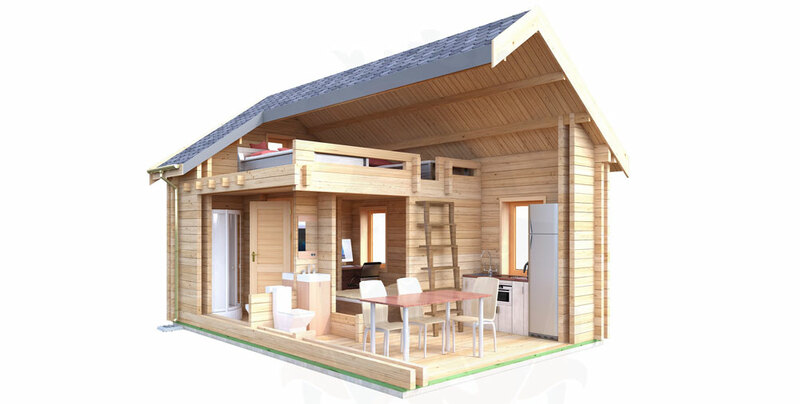 Here is a two bedroom Residential Log Cabin that offers you generous space for both bedrooms and general living accommodation. 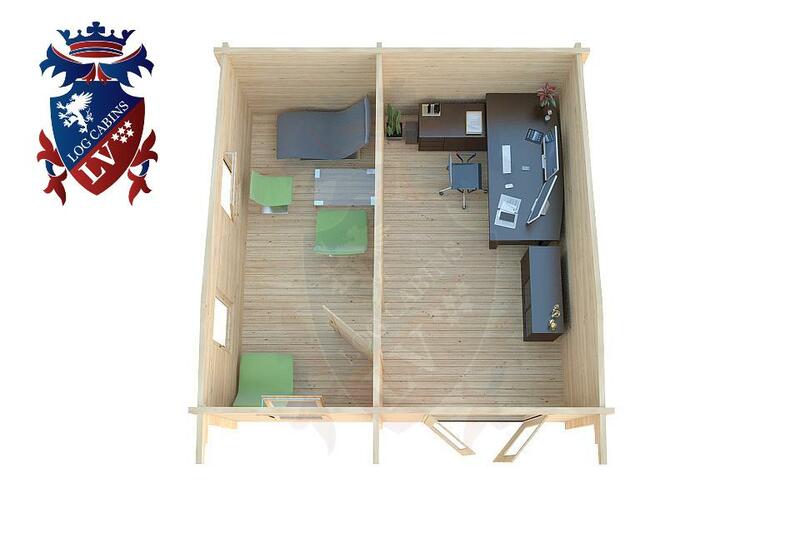 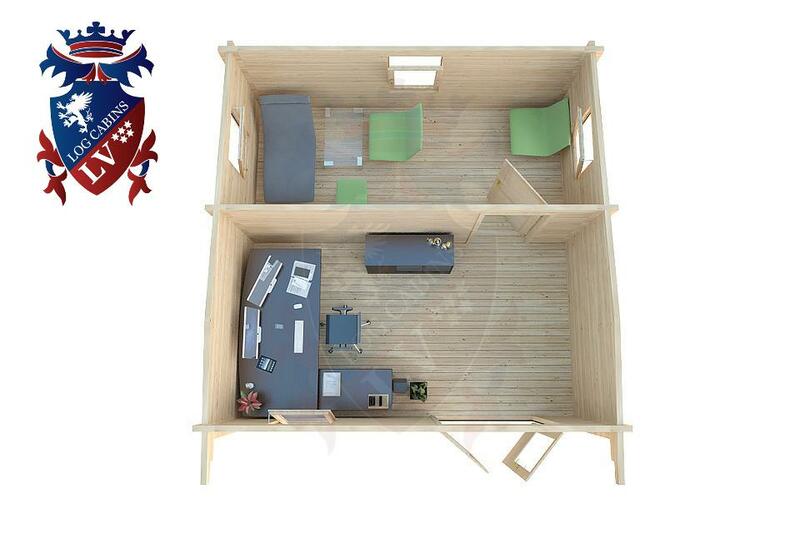 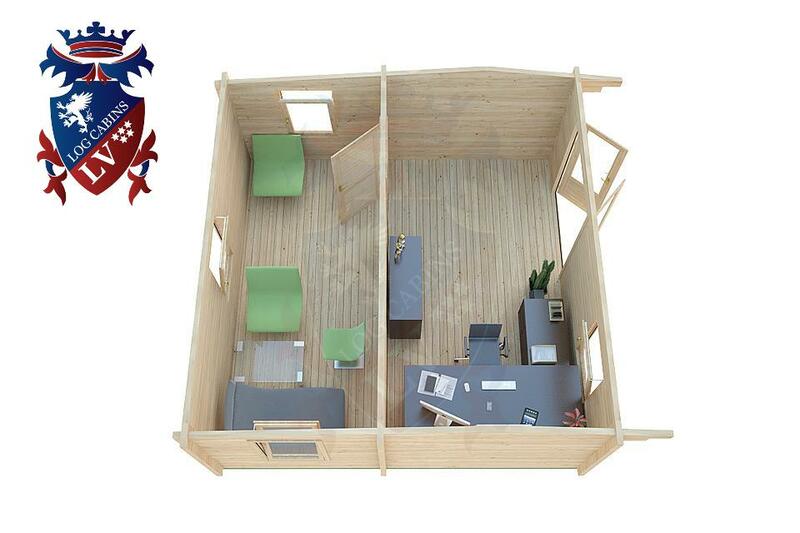 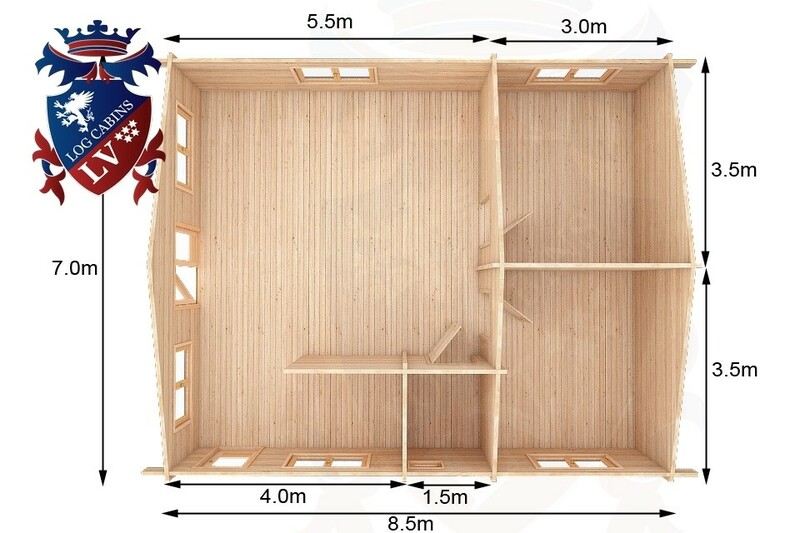 Each bedroom measures 3m x 3.5m, which for new buildings, is often hard to come by. 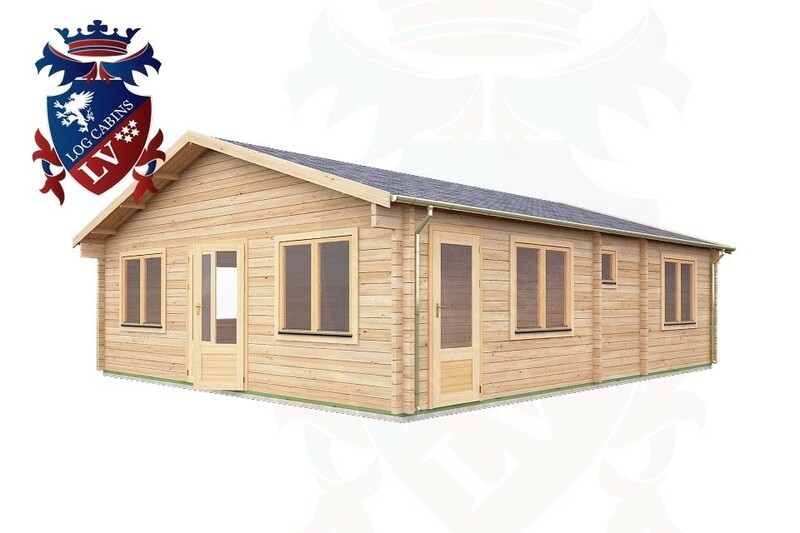 The front section of the Log Cabin Harting provides a thumping big 7m x 5.5m area for lounge, diner and kitchen area that also includes a private corner room for WC . 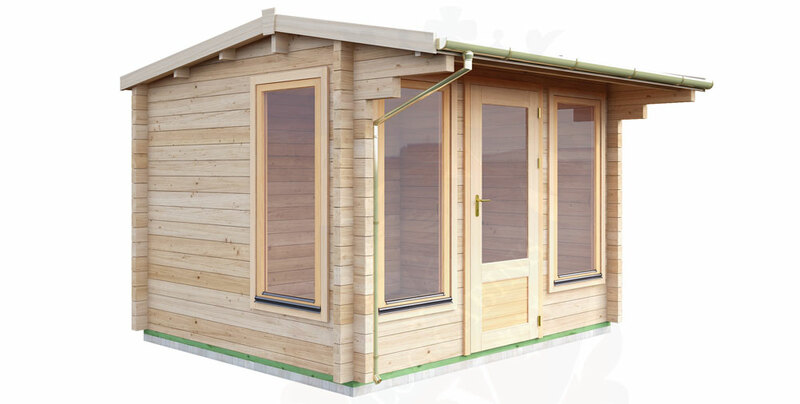 An most spacious property. 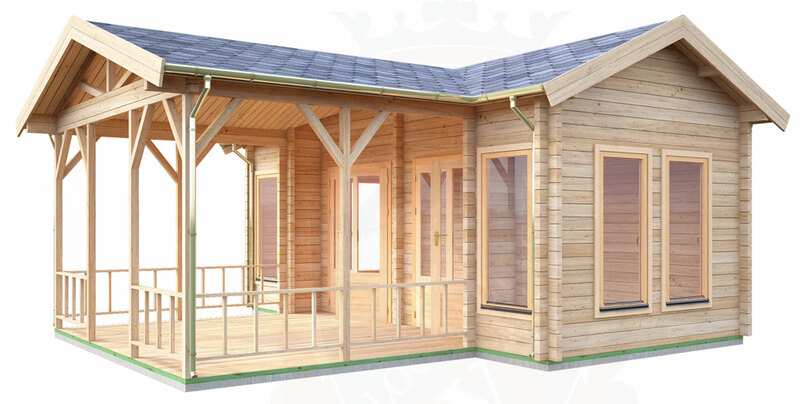 Best quality double glazed windows and doors throughout. 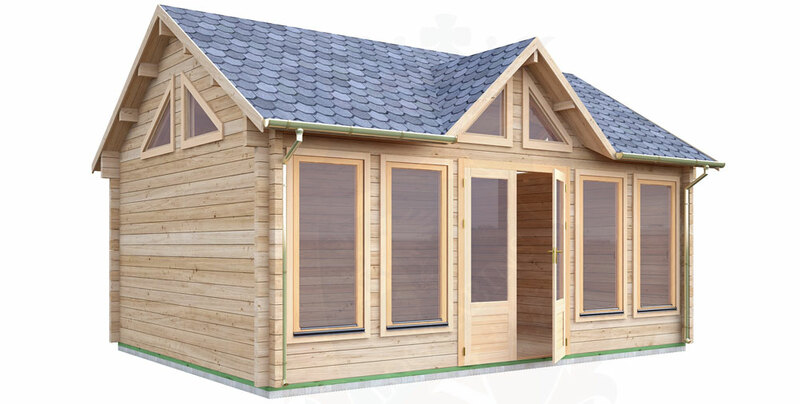 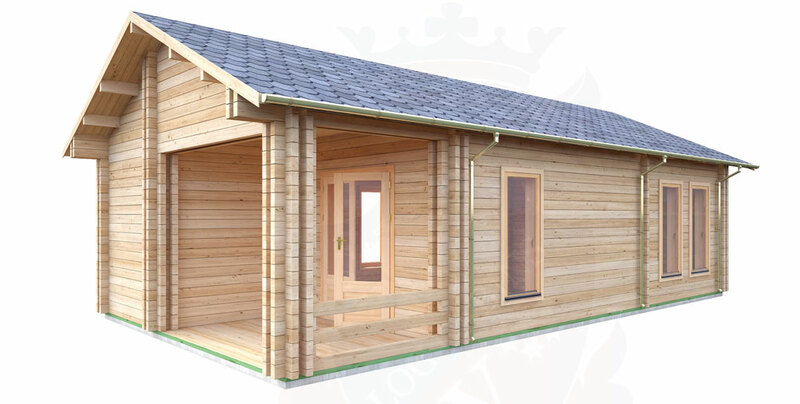 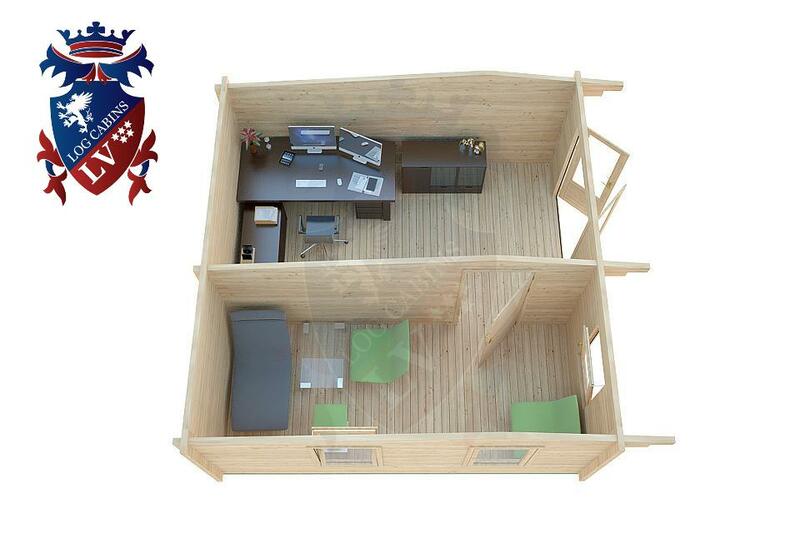 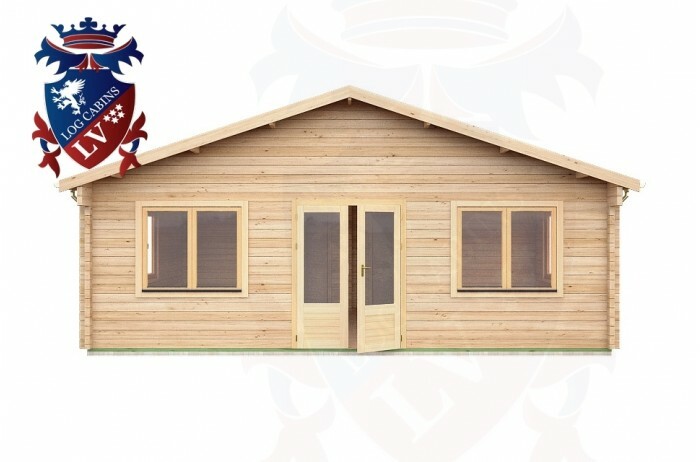 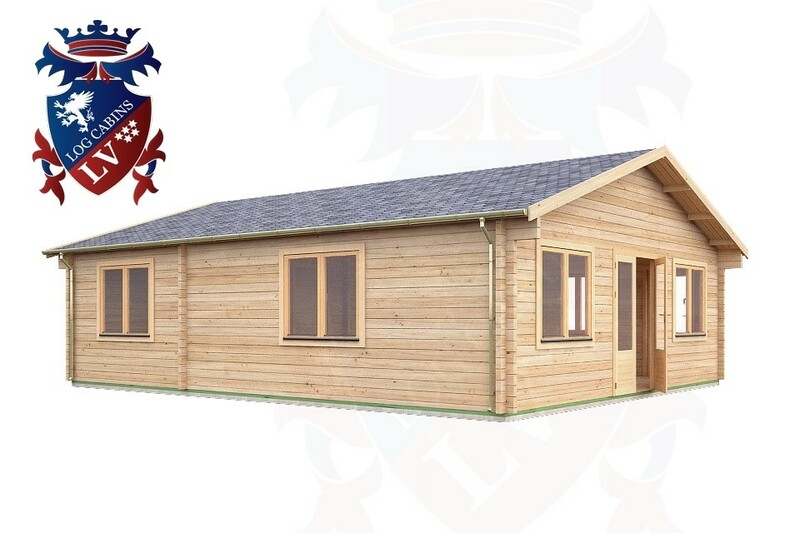 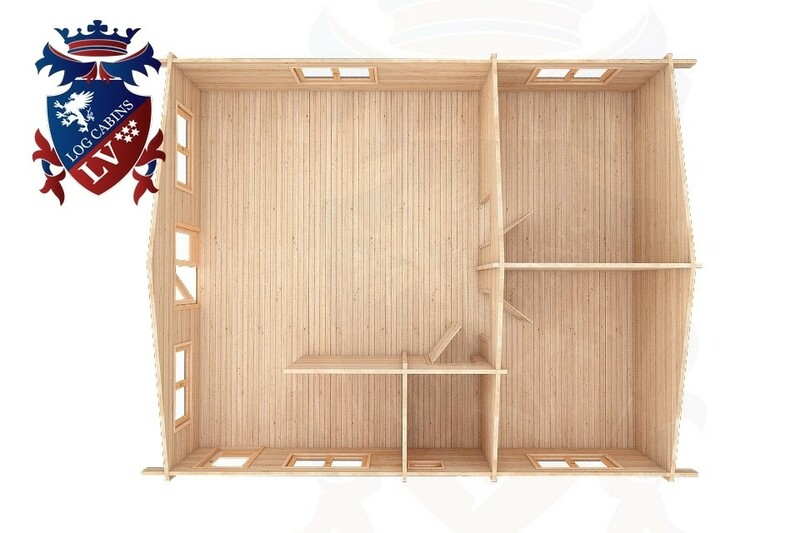 28mm tongue and groove flooring with minimum wall thickness of 70mm Siberian spruce log with other wall thickness options to include 44mm twin skin log cabin for maximum comfort and insulation. 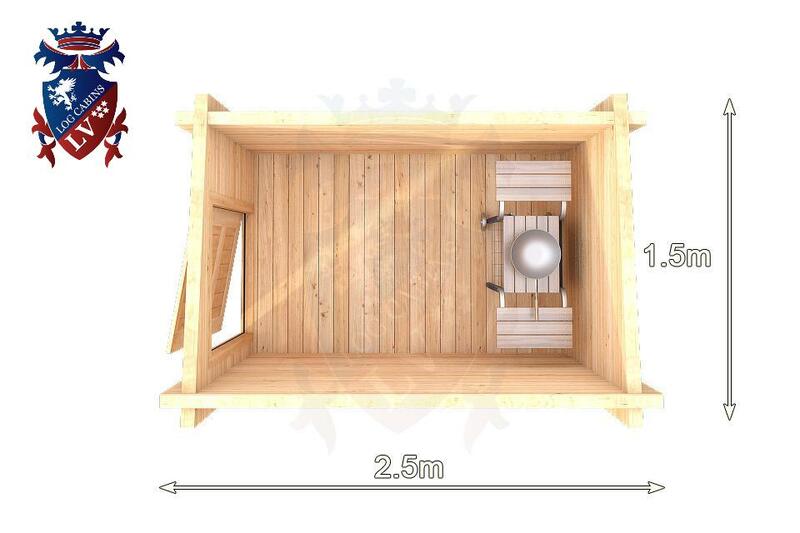 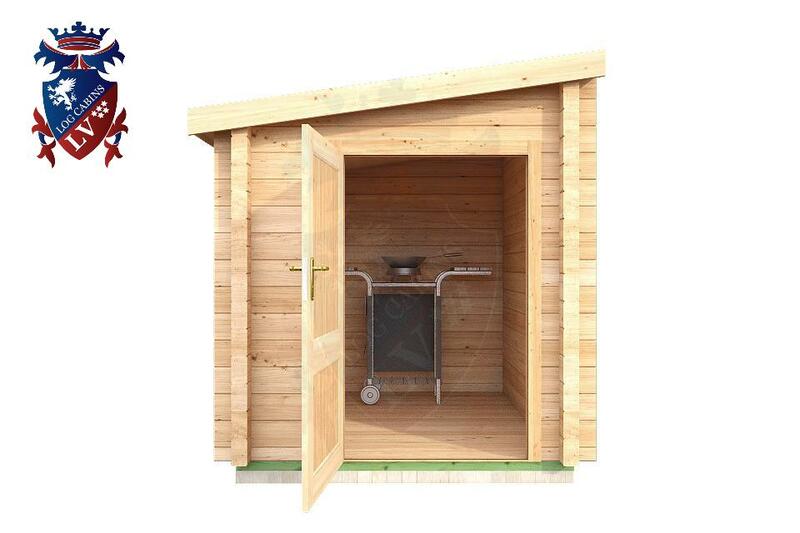 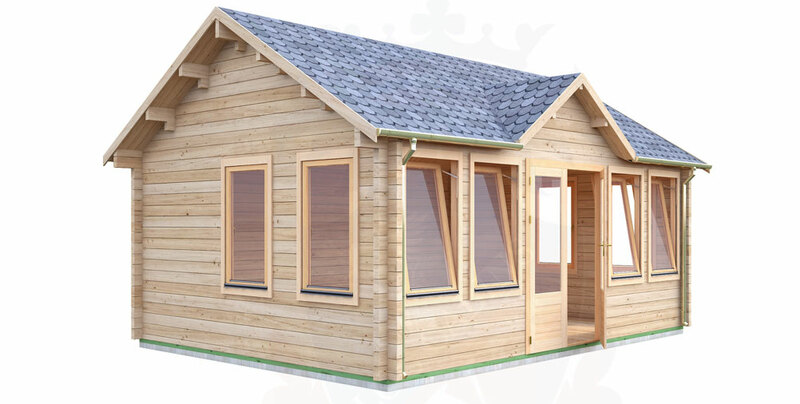 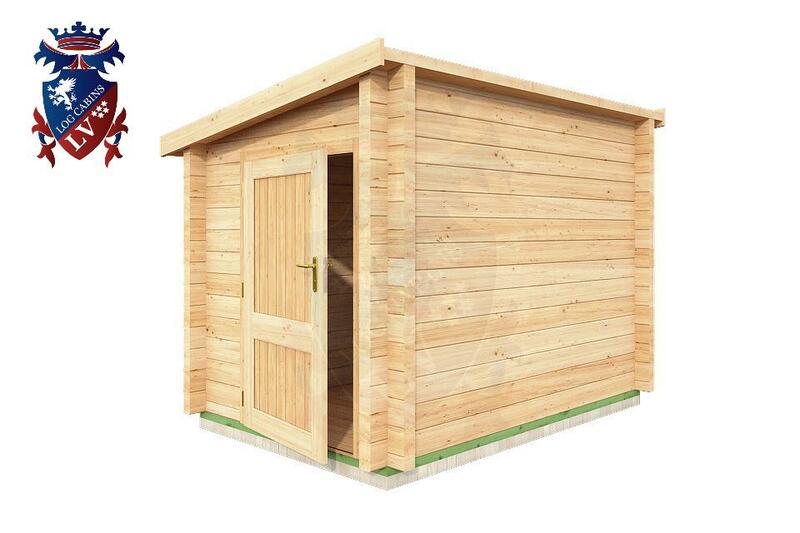 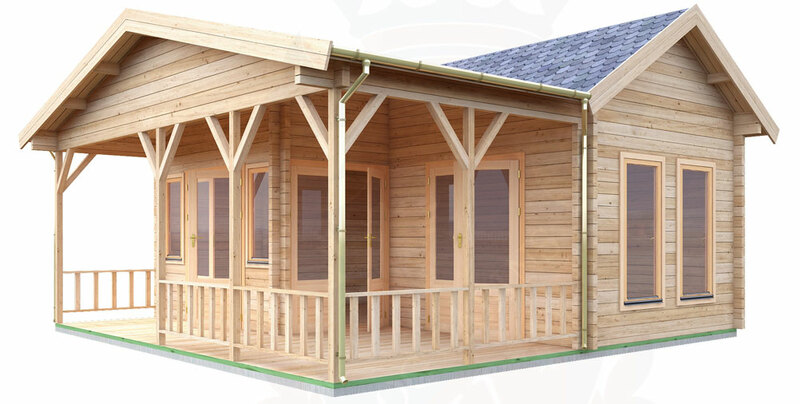 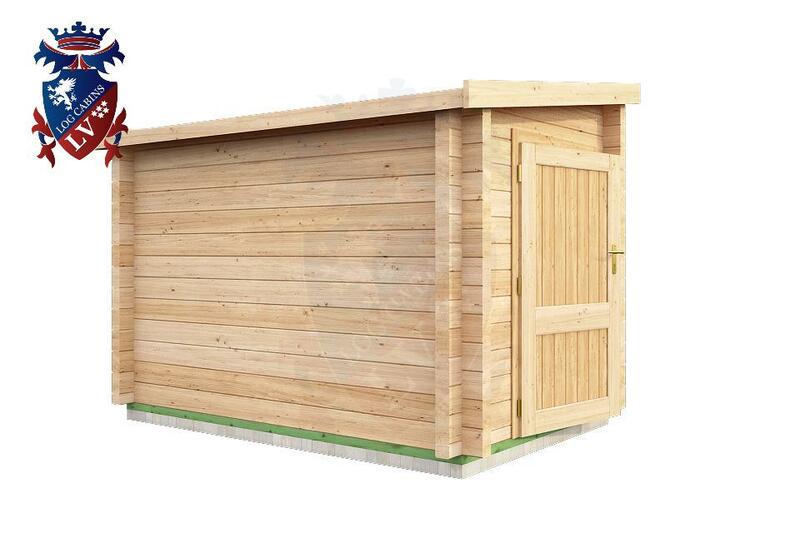 Roof Thickness - 19mm , with twin log cabins a double roof applies.